Gamescom 2018 is less than a month away, and it could prove to be a big deal for fans of CD Projekt Red. 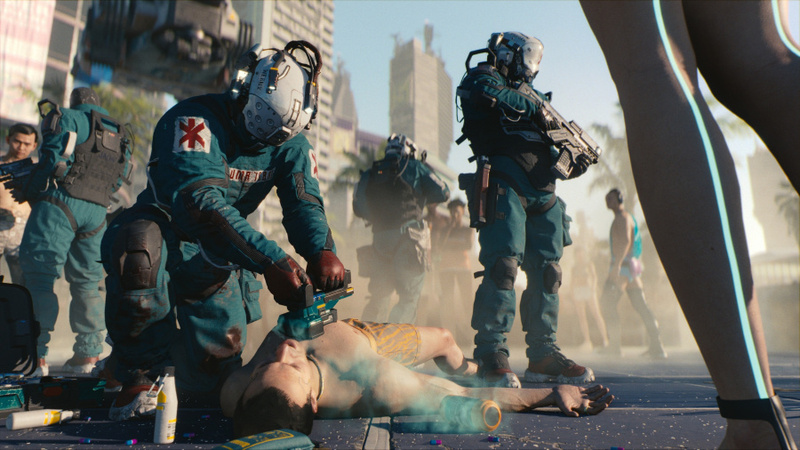 As most of you will know, Cyberpunk 2077 got its first in-engine trailer at E3 this year, but only members of the press got to see actual gameplay. By all accounts, the behind-closed-doors demo was spectacular, but all the teasing has left many of us dying to see the game in action for ourselves. And that's where Gamescom comes in. 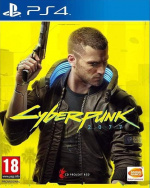 The Polish developer recently confirmed that Cyberpunk 2077 will be at the show in demo form, and although it's unclear whether the public will get to see it, we'd like to think that CD Projekt Red won't leave us hanging for a second time. Are you eager to see Cyberpunk 2077 gameplay? Demand that we see the goods in the comments section below. We'll have to wait and see. I'd love to see some actual footage of this intriguing sounding/looking world. I get a feeling this will go the same way GTA5 did and release at the end of the gen and be a cross gen title. Can't see it coming out in the next 12 months. Bit of a waste of space with all these hypotheticals. Elvis might show up too. Yes, can't wait for it. I prefer 3rd person shooter though. all those articles and previews from the "behind closed doors" gameplay did not convince me. they kinda came off as hyperactive and biased in favour of project red's rep with the witcher 3.
now if the gameplay they will show to the public will be as great as those articles claim,then yes i will buy it day 1. It will probably be the same demo that people got to see at E3 but thats good enough for me! I think it will be a Q4 2019 release and cant wait. I don't 'need' game-play to make this any more 'desirable' - its been on my most wanted list since it was announced back in 2013. Whilst it is a 'new' IP for gaming, its not as if the lore, the background etc isn't known and we already know how well CDPR convert existing franchises into gaming as they have done so with the Witcher 3. Point is, Cyberpunk isn't an 'unknown' like Horizon: Zero Dawn was for example with the world and lore a mystery. I know a lot seem to be fixating on the first person perspective and that certainly isn't common within the RPG world. I can totally understand CDPR's decision though as that is certainly better for 'Shooting' - especially aiming down sights. Another aspect that I think this will work so well is with the cyber upgrading. Seeing your character getting an upgrade isn't as immersive as seeing it from a first person - seeing those upgrades from the first person. Its the difference between watching an operation on someone or watching an operation performed on you. 3rd Person also works well when playing as a 'defined' character, like Aloy, Nate, Kratos, Geralt etc but I think first person works better when the character is less defined. Vee, whilst named, is still a bit of a blank canvass so to speak and you can put yourself into the character, build that character how you want. You are 'determining' the story and its a lot 'easier' to put yourself into the game in a First Person, than controlling a 3rd person character - at least in my opinion. Either way though, this is one of my most anticipated games and I can't wait. I will watch any Game-play as I expect that they could show an hour and still not spoil anything at all - especially as the way they play, the skill-sets and upgrades they have chosen could be very different from yours and as such missions etc can play out very differently. I would love to see some gameplay for this. Everything else about it looks so interesting. Hopefully we'll see some highly anticipated gameplay. I'll be booting up The Witcher 3: Wild Hunt pretty soon to FINALLY start the 'Hearts of Stone' DLC. I don’t think we are getting gameplay. There will be another behind closed doors look, I’m sure. They could show absolutely nothing else until it released and I'd still buy it day one. @Kyroki Hearts of Stone is so good. I don't really buy dlc but once I finished the expansion I was highly satisfied. @zimbogamer I'm really looking forward to it. I'm playing through Crash 3 atm, then GoT from TellTale. After those, I'll be delving into TW3. Gameplay would be fantastic. Even with people saying that this game is brilliant, I'm not going to get at all excited until I've seen the gameplay for myself. So many years waiting, finally its coming together. I'm worried that they've bit off more than they can chew with this one, so I've got my expectations in check for the gameplay reveal. I’d like to see how good you can be. Being bad is sooooooooooooooOooooOoooOOOOOO predictable. Let’s see can we have a positive twist in such a messed up place. Still not sure if this will come out on this generation of consoles but from what they have teased, this could be freakin brilliant! @Mikethemosher To introduce gameplay footage of Half Life 3? Jeez, all they said was that they would be at Gamescon. They said nothing about bringing a new demo or that it would be public this time. Way to speculate like crazy. Last year, CDPR were at Gamescon. They sponsored a Gwent tournament which they organized. So poorly, in fact, that the top three contenders didn't even make it to the convention thanks to a screw up on CDPR's end and the flight booking. The tournament got zero press coverage. Where were you guys? Why didn't you cover it, since you're so enamored of all things CDPR?